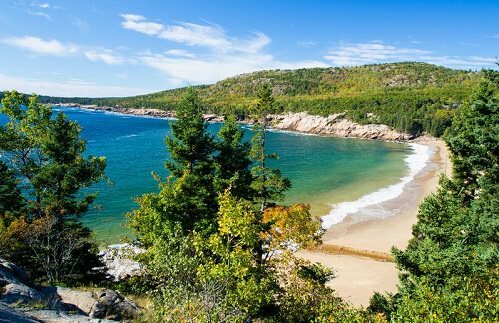 Acadia National Park is home to more than 30,000 trees. Drawing 2,431,052 visitors in 2012, Acadia is the nation’s ninth most-visited national park. Originally designated by then-president Woodrow Wilson in 1913, approximately one-third of the park’s acreage was donated by John D. Rockefeller. The park is open year round, however, many of the visitor centers are closed during the winter.